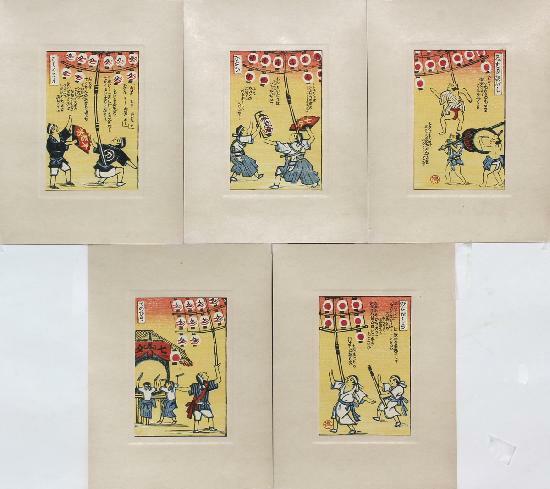 Cardboard folder with woodblock printed labels, holding five woodblock prints showing various balancing acts. The prints (9 x 13.5 cm.) are attached to thin cardboard cards (17.8 x 24 cm. ). Self-printed ca. 1935. Fine impressions, colours and condition: the condition of this folder with prints is surprisingly good: Tokushi Katsuhira’s prints are very prone to foxing.